Provide unmatched productivity and versatility for sidewalk applications in Butler with the SS-4000 Walk-Behind Rotary Broom. The durable, 16 inch diameter broom can be used to clean up light snow conditions and can clear snow right up next to curbs, walls and other obstacles from either the left or right hand side. 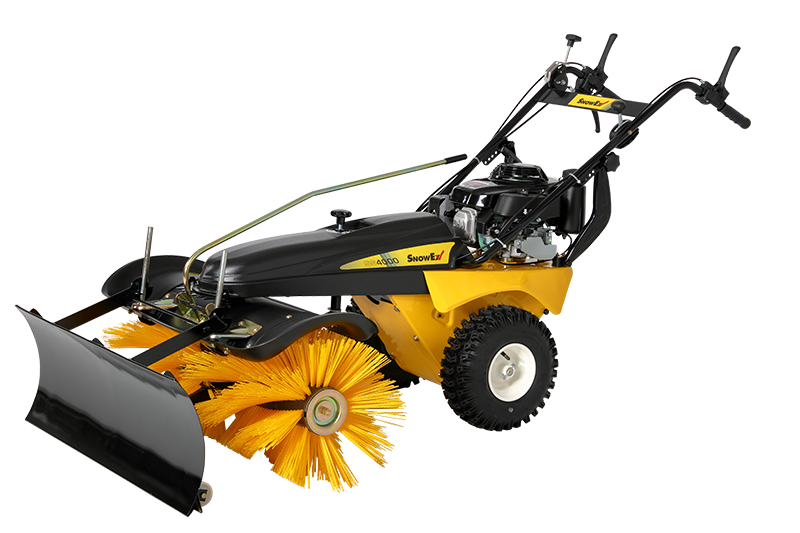 For heavier snow conditions, the standard, front-mounted 40 inch snow blade attachment can be used to cut through the heavy, deep snow that snow blowers can’t remove. Operation is simple, and the user-friendly control makes the SS-4000 Rotary Broom an ideal choice for snow and ice professionals.